Since it is the Halloween season we’ve rounded up some more games to play for all your spooky needs. Here is what some of the admins had to offer! Posted in Board Games, Video Games and tagged Avenue, Board Games, Halloween, Recommendations, RWoG. Bookmark the permalink. Since it is the Halloween season we’ve rounded up some games to play for all your spooky needs. Here is what some of the admins had to offer! 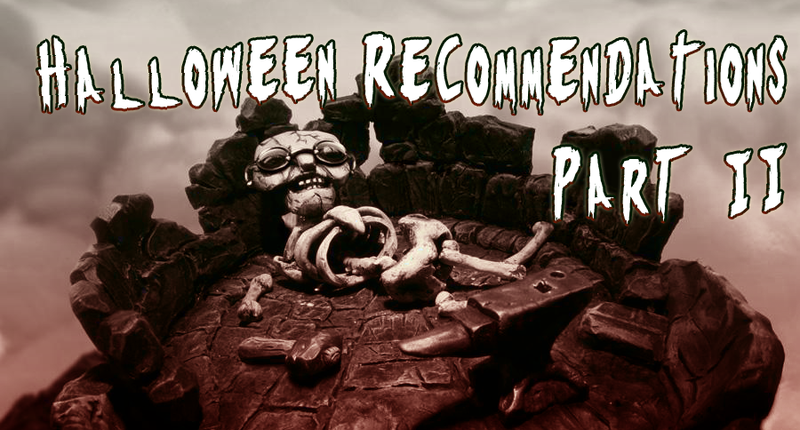 Posted in Board Games, Video Games and tagged Avenue, Halloween, Horror, Recommendations. Bookmark the permalink.